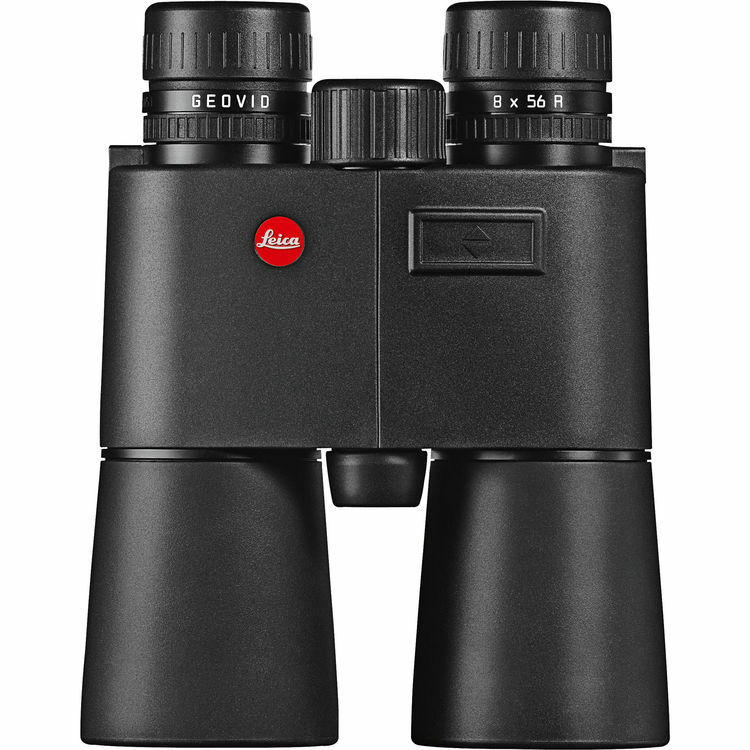 Leica fuses the image quality of a large-objective fully multi-coated optic with the usefulness of a 1200-yard laser rangefinder and integrated ballistics calculator to create their 8x56 Geovid R Binocular/Rangefinder. Using an infrared laser rangefinder and a built-in inclinometer, the on-board computer adjusts the displayed range for more precise shot placement when shooting up or downhill, and an in-view 4-character LED display allows the observer to view the range without having to take their eyes off the subject. This version of the Geovid displays distances in yards and is controlled with a convenient single pushbutton. 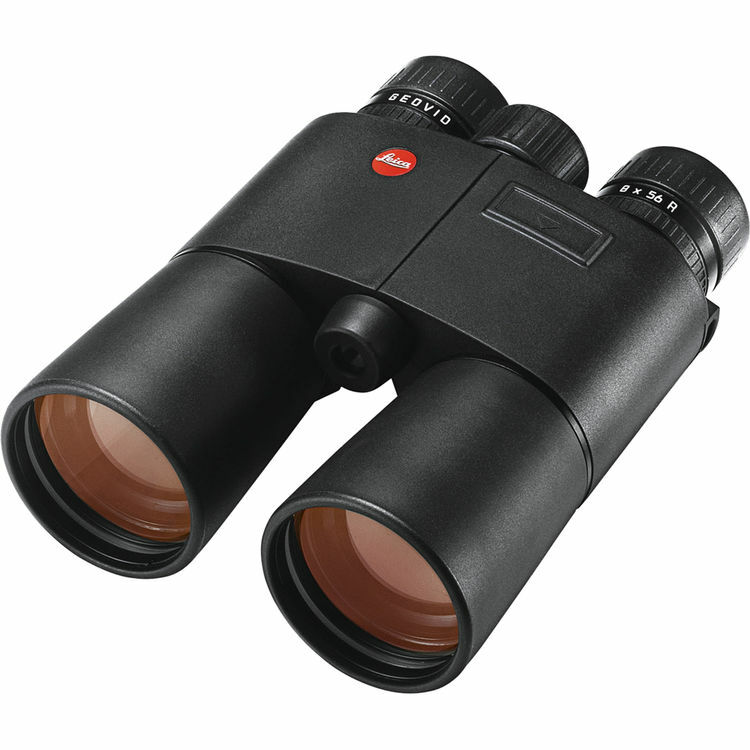 Complementing its ranging qualities, the Geovid sports oversized 56mm objective lenses and Leica's proprietary anti-reflection lens coatings to boost light transmission, improving color and contrast, even at long distances. With its expansive exit pupil, excellent low-light performance during the pre-dawn and post-dusk hours extends its usability, helping you better see where, and when the game is hiding. Protecting the optics and electronics is a lightweight and durable aluminum alloy chassis that is nitrogen-filled for fogproof and waterproof performance in extreme conditions. It is wrapped in a protective armor that also provides a slip-resistant grip, especially in cold and wet weather. Box Dimensions (LxWxH) 10.6 x 8.4 x 6.7"